Guten Tag! So Hamburg is under way and Roger made a winning start with is new 98 square inch racquet defeating Daniel Brands in 3 sets; 3-6 6-3 6-2. It's the first time he's played Hamburg since 2008 so it was nice to see him back there as it's been the setting for some great matches including one of his rare wins over Nadal on clay. It was also great to see him make a winning start with a new piece of kit, which is apparently a custom frame that Wilson have designed especially for him and not the Blade 98 as many people thought. I actually think a win was almost imperative in his first match here so I'm very happy; losing your first match back with a new racquet could have been a psychological blow. It would have been very easy for him to blame the racquet for the loss and treat it as a failed experiment before quickly changing back to the 90sq” Pro Staff but now he's tasted victory with it he surely has to persevere. The match itself was pretty straightforward, Brands played better in the first set but Roger played much better in the next 2, simple as that really. It started nicely for Roger as he banged down 3 aces in his opening service game which was a nice start with the new racquet and despite having quite a few 30 all's and deuces on the Brands serve he was the one who got broken first at 3-4 before Brands served it out easily. It wasn't a great set but at the same time it wasn't a disaster, Roger played ok, just a really poor game to drop serve and with Brands only needing 1 more game he was hard pressed to break back. But I wasn't worried anyway, the more court time the better right now. After dropping the first set, I fully expected Fed to get it done in 3 and he did exactly that breaking early in the second and taking it 6-3 before then breaking Brands twice in the decider to run away with it 3-6 6-3 6-2. I'm pretty happy with this to be honest and can't ask for more. Ok he dropped a set but I don't think that's a big deal in the slightest, if anything it's probably better that he did. He had to come from behind in his first match which is always a nice way to win especially when in his last match against Stakhovsky he couldn't turn around the 2 set to 1 deficit. Like I said above, anything but a win here would have been a disaster so I'd have taken a win anyway he could get it, be it a flukey net cord at 7-6 in the third set breaker or pulling away comfortably 6-2 like he managed to. I just think it was important to start winning immediately with new equipment as it would have been so easy to lose and let the change play on your mind. I also thought Fed played pretty well in parts too, he was a little rusty which is understandable but hit some nice winners and defended quite well off both wings with the defensive full stretch sliding slice and the squash shot forehand to keep himself in plenty points. The first serve was solid as usual and 3 out of 6 break points is going to get the job done in most matches. Did the New Racquet Make a Difference? Truth be told I have no idea 😀 as it's simply too early to tell, I actually tried to not pay too much attention to it during the match as I know I'd have ended up convincing myself that he was doing something differently be it hitting the forehand bigger or using the topspin backhand more when in reality he wasn't. All I know is everything was in working order. I didn't really see any noticeable differences as to how he was hitting the ball and it looked like he had all the same attributes as ever, playing with plenty deftness, slice and skill like he always does. The only thing you can say is that he wasn't as full blooded on some of the shots as usual but I figure that's only natural. You also have to remember that Brands isn't the sort of guy the racquet change was needed or designed for, he's a first strike kind of guy with a big forehand and it's not like Roger has been struggling in the second round of ATP Masters 250 tournaments so there wasn't much to read into. If Brands was 10-0 in the H2H and suddenly Roger beats him comfortably then maybe the racquet was the difference, as of right now it's impossible to say and the win is all that matters. As for the racquet, I think it will come into it's own as the season progresses and we get to the big time tournaments in Montreal, Cincinnati and then New York. The main thing right now isn't whether we see a difference in play or better returning it's just important he wins some matches; I'm just happy that he has embraced the change and is giving it a go. Yet again he's done something Sampras could never do and gone away from a racquet that won him 17 slams. That is a big decision but as usual the GOAT doesn't take half measures when it comes to his career and staying at the top for as long as possible. As usual the draw has changed from the predicted match ups as Jan Hajek defeated Enersts Gublis in three sets. This is obviously a much easier match up for Fed as Hajek can't pose too many problems. They've never met but Hajek is lying down at 140 in the world and has never won a career title. After the beating Brands, who is quite a talented player with weapons, this is a peRFect second round match for Roger and I figure he can take some risks here on his groundstrokes to see what happens. With Brands you have to be a little more careful as he's got a game and a serve that can hurt you quickly. Hajek can clearly play too but I don't think he's ever beaten a top 10 player and I don't expect that to change so predict Federer in straights 6-2 6-2. Allez! Roger played well, especially the 2nd set (77% first serves, 100% points won on first serve, GOATness is overflowing on that one)! It’s understandable loosing the first set, having come after yet another (unintentional) break, and on clay (from grass), with new equipment…the list goes on. It’s time to take one match at a time and Roger should go like that. On the other hand, i’m not against the racket change, but can he at least change the paint job to the more Federer-Red n’ White! I like his Polo and shoes (especially the shoes) for hamburg. Yeah he was solid. People are going to focus on little things here just because he changed equipment. Win is a win. Good start! I am anxious to see what kind of paint job Fed and Wilson will eventually come up with (probably by the time the hard court season rolls around), this racket is on its way to becoming one of the best selling ever. The previous 90″ deters many club players from playing with it, as much as Fed is being loved by almost anyone who plays the game. Yeah, will they keep it all black? Good point about it selling better, I think you are spot on, nobody I know uses a Pro Staff just because the head size scares them off! Not sure what you mean, you removed the loss to Dull in 08 from your mind? Be better if it was 07 though, be going in as the defending champion technically! I wonder what Roger told Brands at the net. He seemed to be looking at his racquet and saying something. Maybe Brands asked him something about it. Sorry Jonathan, just made a mistake in typing my emailaccount…. Yet again he’s done something Sampras………. for as long as possible. Wow Jonathan, great writing !!! That was a close match, I saw some of it. Haase should have maybe won it, just not mentally that good. I knew this was coming! Here’s Nadal’s new racquet. Jonathan, risky choice of words in your prediction in Roger’s next match vs. Hajek! Hadn’t Stakhovsky not beaten anyone in the top 10 before as well, until Wimbledon??? I hope he cruises to an easy win and starts to gain further confidence in the new racquet; I was concerned that he’d swap back to his old one if he didn’t win today, but so far so good. Thanks for uploading the clip on how he feels about the new racquet too. Hajek is nowhere near as imposing as Stakhovsky, if you know what I mean. Having said that, the only risk would be because Roger hasn’t played much recently and is using a new racquet that hasn’t withstood the test of time against a variety of playing styles. Stakhovsky was a one off man, won’t happen again. So thrilled to see him back! And in a nice polo! And has time to get used to the racquet as every win a bonus! Semis wld be great. Winning it amazing! Go Fed! Should make them now, Mayer stands in the way. I back him to win that. Can someone post the winners and unforced errors statistics .. I don’t know where to get them, they don’t tend to do them for these tournaments. Happy birthday Sid !!! Well well well, two lobsters on one site. What will become of us? Poor Jonathan. Happy belated b-day! Sorry, I missed as I thought you’re kidding. Even though I said it already via email, can’t have people thinking I am not taking part – Happy Birthday! Some good ones. RFlex pretty good. RF1 is good too. I’d call it the Fedtech 98. I think you shold do a piece in “is roger getting old?” because it is on all our mind at lease subconsciously. i say this because his records and winning percentages are getting lower by the year and he dropped down to 5th in the ATP rankings after his loss in wimbledon. personally he could be one of the top 4 for the next 2-3 years if he improves his return of serve. (which i belive is the least of the top 4in percentage). that is why in my opinion the big servers (tsonga and Birditch) tend to trouble him more than they trouble the rest of the big 4. this prblem can be attributed in my opinion to the position he returns a serve(on the base line) on contrary to a few inches behind the line like most of tennis players. Nah, not going to do a post about that because what insight can I give? 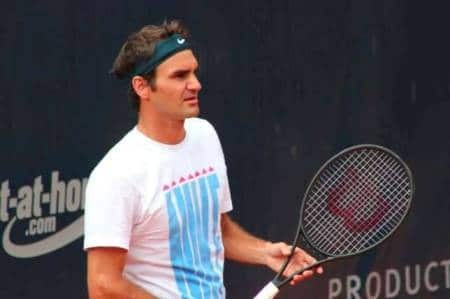 Yes Roger is getting older, he is like the other 8 billion people on planet who get a little bit older each day. It’d kinda obvious he isn’t in his prime anymore so his win loss ratio isn’t going to be as good. I’m just enjoying watching him play. If he starts losing to clowns on a daily basis, then yeah, I’ll say call it a day, but ain’t happening yet. Anyone else watching Roger play today? Won the first set but his first service has looked off so far in the 2nd set. He definitely missed a few easy ones, one crucial miss to go up 40 love on Hajek’s second service game in the second set. Net play overall has been good though, just losing focus here and there imo. His overheads were spot on all match – I really enjoyed the awkward overhead flick he did when he was off balance on the lob! Yeah he missed some routine volleys. Not sure on the reason, just snatching at them a bit and trying to do too much with it. I thought he had some great backhands. They seemed to fly quite differently. Loads of errors, but hoping that’s just due to the new racquet. A few gentle touch shots, which suggests he still has pretty good feel. 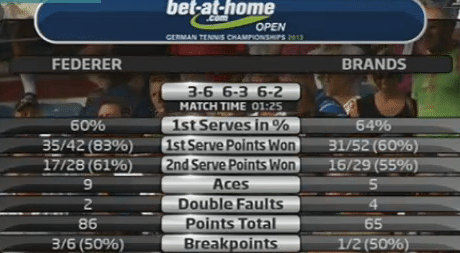 3/13 breakpoints against a guy who’s not that great is a little worrying. Wouldn’t be good enough against an opponent like Haas. I think Roger is going to have some trouble against big hitters. 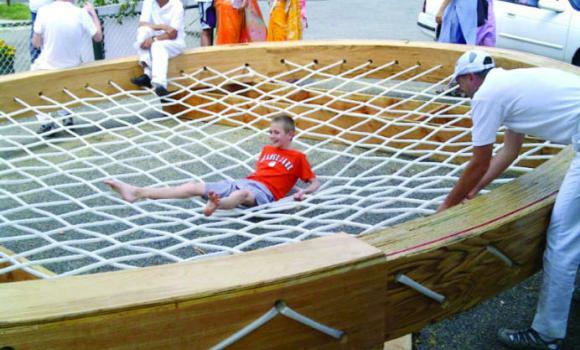 Maybe not in Hamburg but other tournaments. 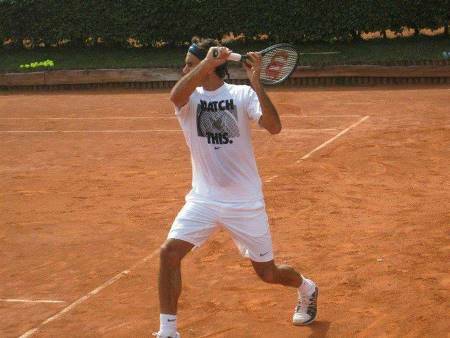 Not because the racquet can’t handle it, but it will take him a while to get a good measure of it. Right now he still doesn’t seem to be sure of his swing at times, in my opinion, and is probably making minor adjustments (weight/balance etc.). That’s why I’m cautious about expecting great result pretty soon. Yeah he showed some real good feel on the slice + drop shot. And as you say, backhand had some decent pop, he also made some decent down the line winners which was good to see.